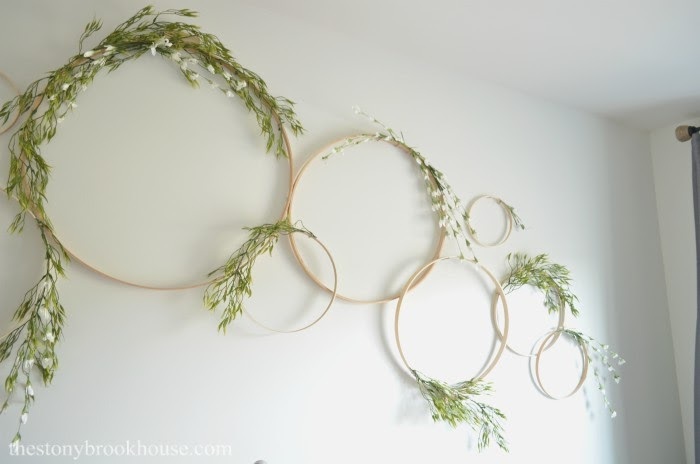 Who would've thought that a few embroidery hoops, a little greenery and a bit of flowers could make such a HUGE impact?? 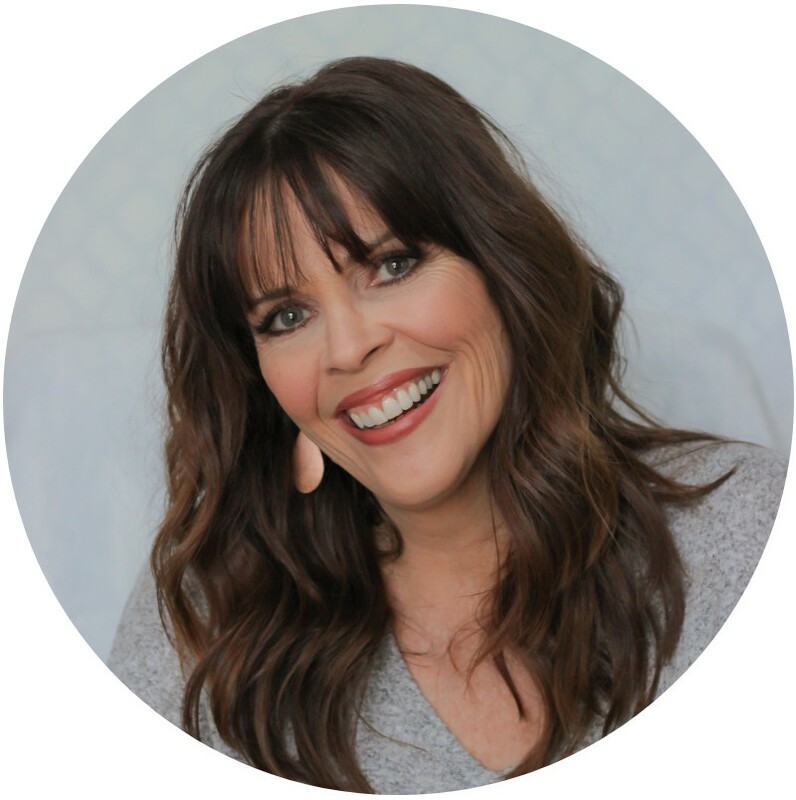 My inspiration came from a blogger I follow, Erin @ Cottonstem. If you don't follow her you should! She has such great style! 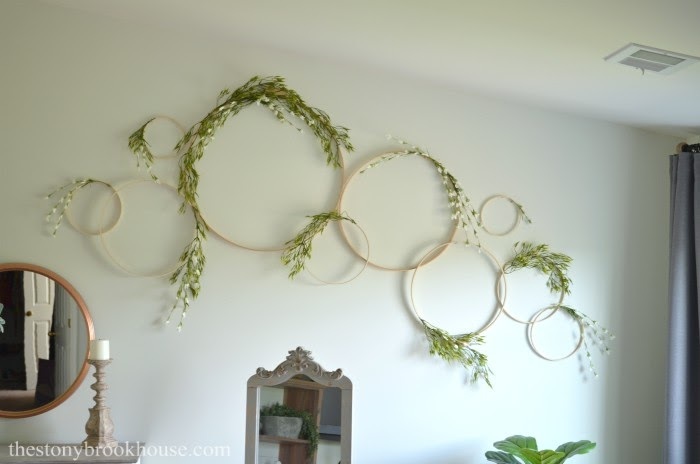 Anyway, she put a bunch of these hoops all above her headboard... soooo cute! I didn't want mine to be a focal wall, so I only did a part of it. It came out soooo great!! 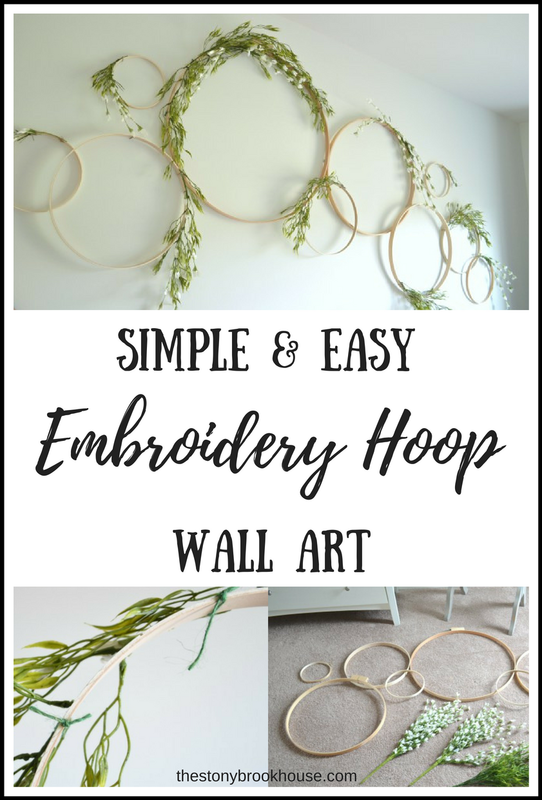 Simple & Easy Embroidery Hoop Wall Art! This is the blank space I'm working with. 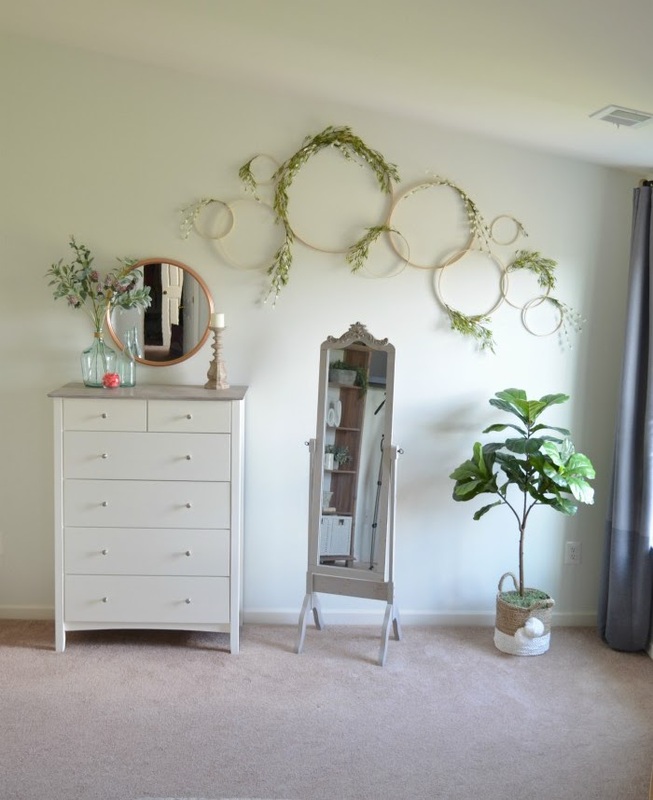 I want to tie the Hoop Art into the circle mirror above my dresser. Let's start with the hoops. You're going to want them in a variety of sizes. I have 23in, 18in, 14in, 10in, 8in, and 6in hoops. A big cost saver, is to separate them! There is a solid hoop and one that adjusts. Now you have two of each size! Okay, now, let's lay it all out. 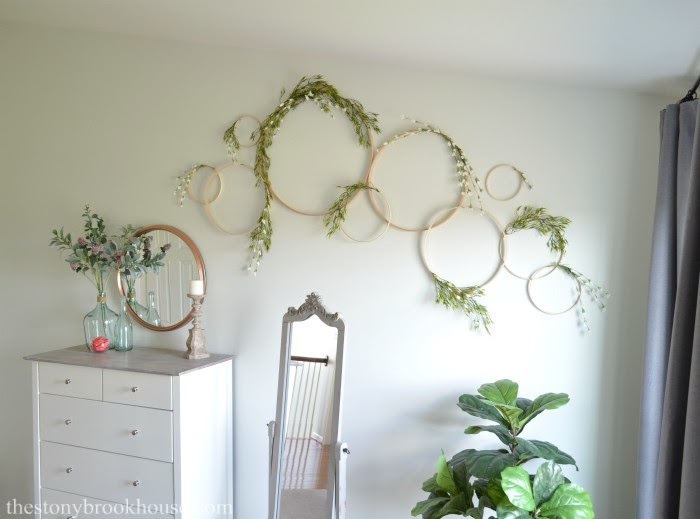 Basically, get an idea of how you want them to look on the wall. 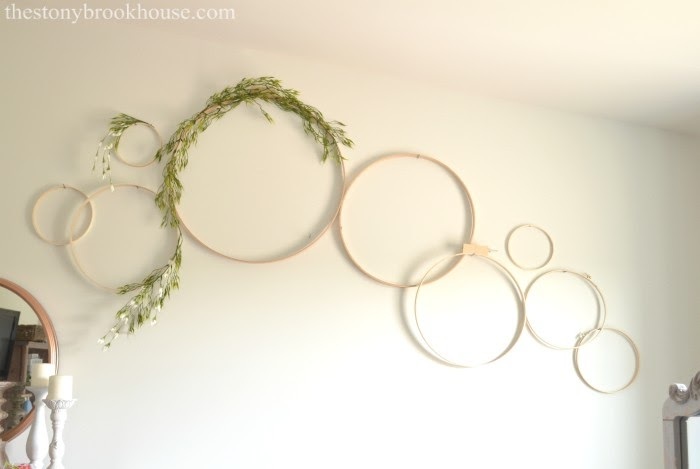 I started with the largest hoop, put a nail in the wall and hung it. Then, the one next to it. 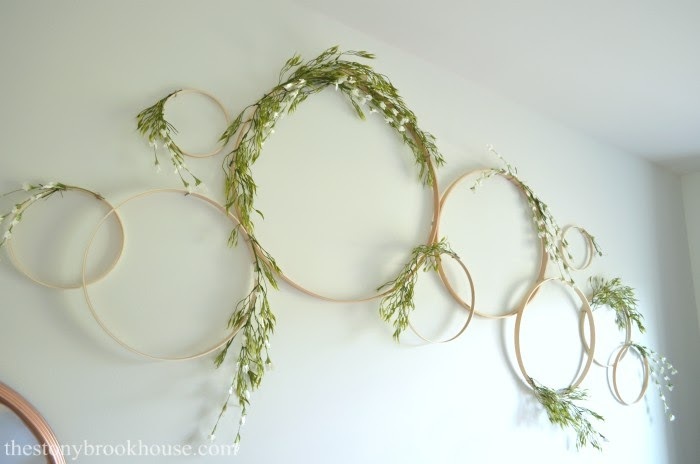 Now that I have the placement of the hoops, it's time to add the greenery. 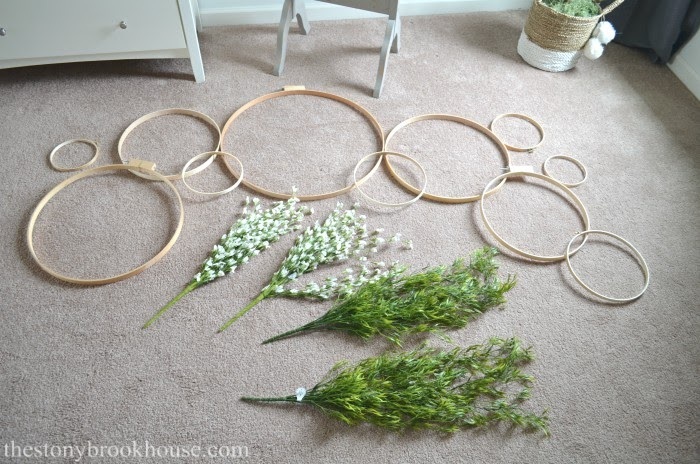 You don't need glue or anything special, just some twine and scissors... and your greenery and flowers of course! Oh, and some wire cutters or pliers that can cut wire. Just so you know, I bought WAY too much greenery and flowers. 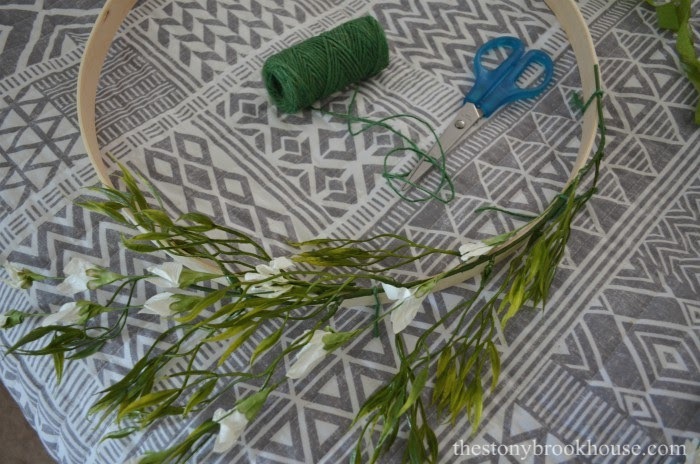 I only used one bunch of greenery, and one bunch of paper flowers. 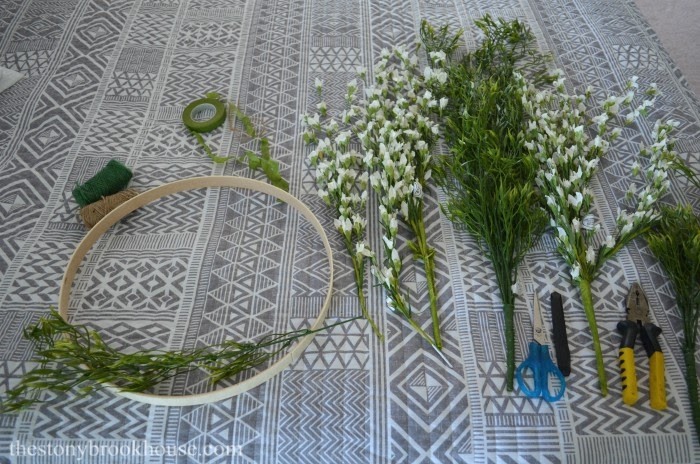 Next, you are going to want to cut the bunches apart. I only used one stem at at time from each bunch. 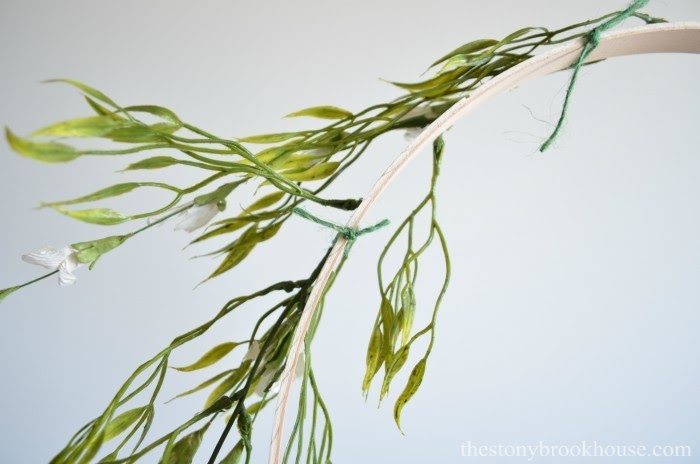 Then I tied each stem in a couple of spots to secure it. I didn't want them to be covered in greenery and flowers, just a little bit here and there. Some just have greenery, some just have flowers and some have a bit of both. 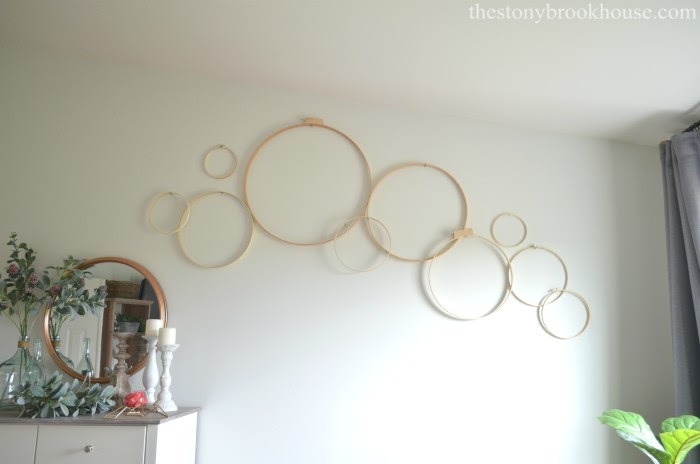 Then just keep repeating with each hoop, until you have to look you want. 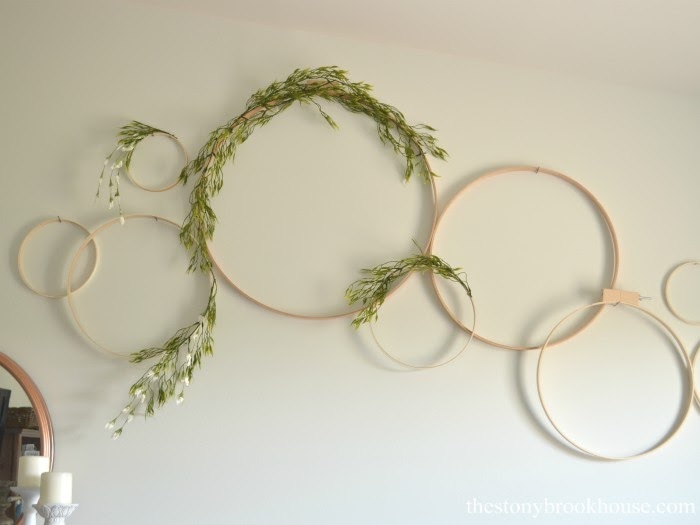 I did have a problem with the hoops popping off the wall.... 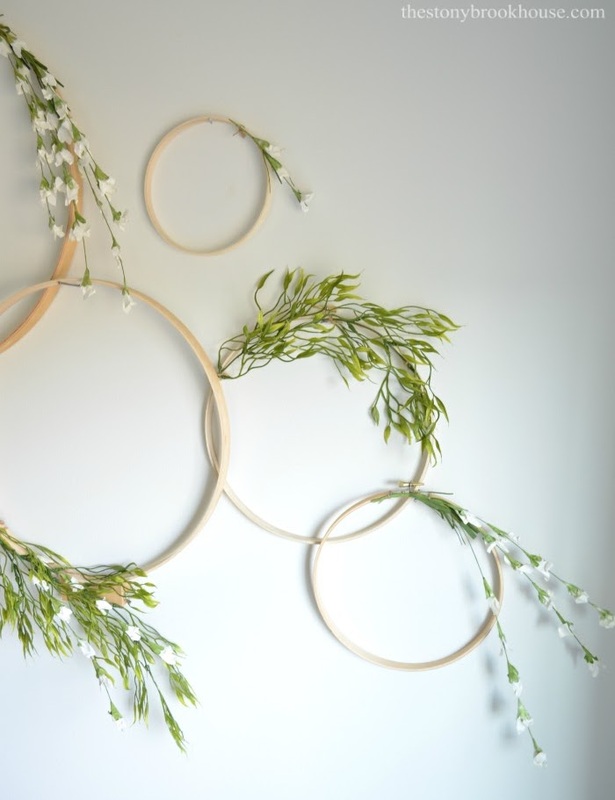 I realized that some of my knots were on the back of the hoop, therefore it wasn't flush with the wall. I'm just dying! I love it so much! Our bedroom is my favorite place in our home! It has turned out so great and I have one more little project to do! I love how dainty the paper flowers are! Hubby loves how the whole room has turned out! It's been a long process, but worth every minute!! 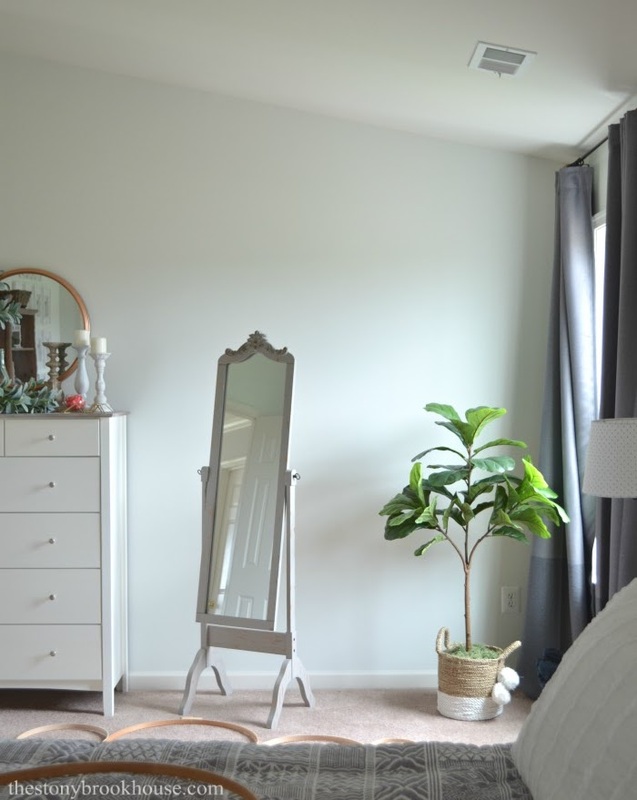 Here's a few links to see the progress on our master bedroom!